Born in Melrose, Massachusetts, and educated at the Massachusetts Institute of Technology, well-known architect Royal Barry Wills had deep New England roots. He and his Boston-based firm, Royal Barry Wills Associates, designed more than 2,500 homes with a particular focus on traditional regional styles such as Cape Cod and Colonial Revival-style houses. The geographic reach of the firm’s work, however, is by no means limited to the six New England states. In April 2017, Historic New England began a two-year project to catalogue, digitize, and provide online access to the firm’s archive, which was donated to us by Richard Wills and Jessica Wills-Lipscomb, Royal’s son and granddaughter. The project is funded in part by a $150,000 grant from the Institute of Museum and Library Services, with additional support from the Felicia Fund. We have now completed cataloguing more than 10,250 architectural drawings from 925 commissions (one third of the estimated total in the collection). Among these drawings are commissions from throughout the United States as well as Australia, Canada, and the British West Indies. In thirty-four states, from Florida to Washington, Texas to Minnesota, clients enthusiastically responded to the firm’s well-designed homes. One example is this charming Cape Cod-style house designed by Wills c. 1936 for a client in Newport Beach, California, who wanted a traditional New England home only one block from the Pacific Ocean. 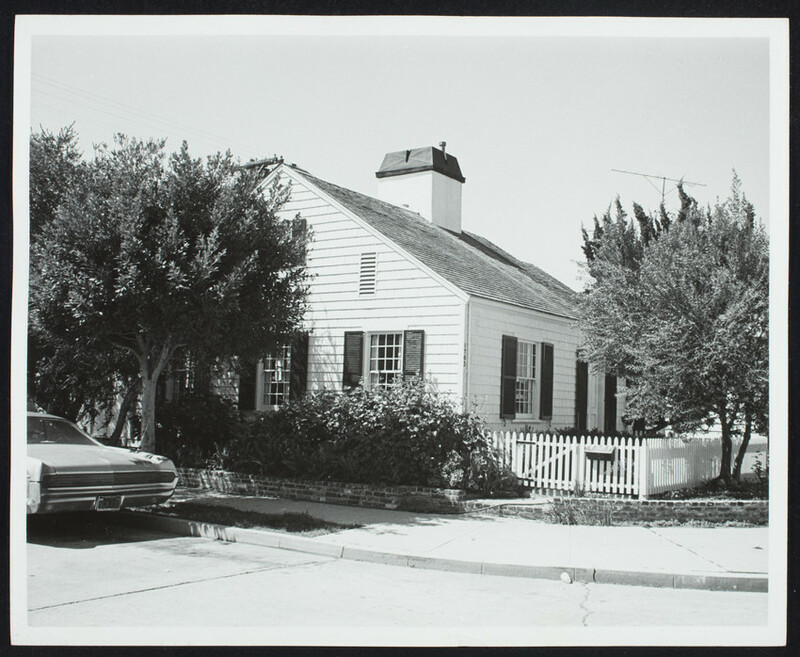 In addition to custom-designed homes, Wills also sold standard plans in a wide variety of styles, including traditional Garrison Colonial and Cape Cod houses, as well as Modern designs and ranch houses. 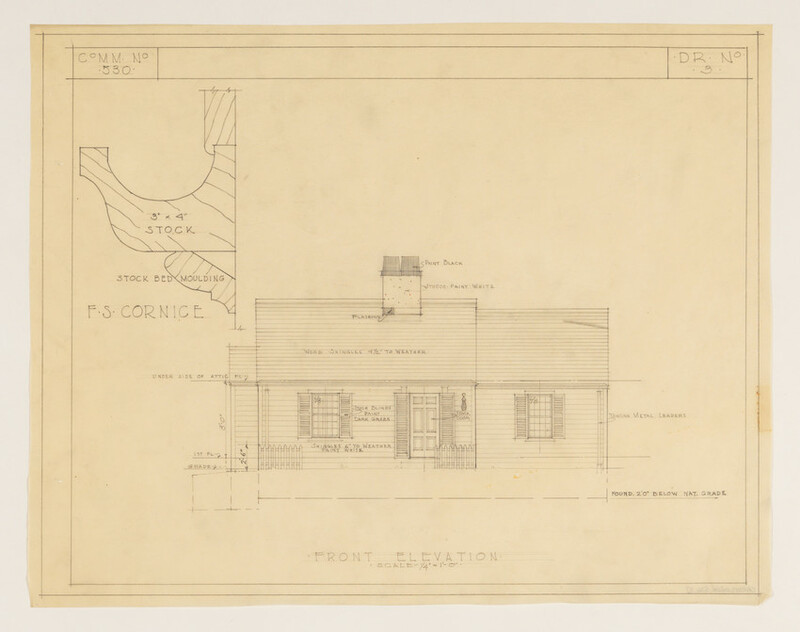 We found evidence that these designs were widely sought after, with more than 750 sets of plans sold in thirty-two states, including Alaska and Hawaii, as well as in Canada. Perhaps most surprising is the customer in Pago Pago, American Samoa, who purchased plans for a contemporary-style house that the firm originally designed for a development on Cape Cod, Massachusetts! As we catalogue the archive, we are creating a database of houses designed by Royal Barry Wills and his firm. The database will be published online when the project is complete in 2019. A finding aid to the collection and more than 11,000 digitized images will be available to explore on HistoricNewEngland.org. Historic New England is ensuring that the prodigious output of this influential architectural firm is available to the public worldwide. You can support the preservation of this and other Historic New England collections with a gift to the Collections and Conservation Fund.